Home/Service Change Providers and Coaching/What is NLP? Neuro Linguistic Programming (NLP) began in the early 70’s as a model of how we communicate to ourselves and to others. 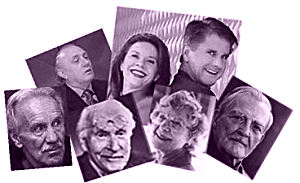 It was developed by Richard Bandler, John Grinder and others. The NLP model give us an explanation of how we process information that comes into us from our surrounding. NLP is focusing on the process, not on the content of events. NLP’s premise is that “The map is not the territory,” which is one of the presuppositions of NLP. It means that our internal representations (I/Rs) that we create about an event are not necessarily the event itself. NLP trained coaches -at least any NLP coach who was trained by the Tad James Co. or a graduate of Tad James Co- are working with these presuppositions when they coach and guide you out of your problem state into your solution state. Resistance in a client is a Sign of a lack of rapport. There are no resistant clients, only inflexible communicators. Effective communicators accept and utilize all communication presented to them. People are not their behaviors. Accept the person; change the behavior. Everyone is doing their best they can with the resources they have available. Behavior is geared toward adaptation, and the present behavior is the best choice available. Every behavior is motivated by a positive intent. Calibrate on Behavior: The most important information about a person is that person’s behavior. People have all the Resources they need to succeed and to achieve their desired outcomes. There are no un-resourceful people there are only un-resourceful states. There is ONLY feedback! There is no failure, only feedback. The Law of Requisite Variety says that the system/person with the most flexibility of behavior will control the system. All NLP procedures Designed to increase choice. NLP discovers the steps of the processes we do in our head. Any external event that we experience runs through our internal processing and we create an I/R about that event. The I/R of this outside event creates a certain physiology inside us which also creates a state. A ‘state’ is an internal emotional state of ours. These state can be a ‘happy state’, ‘sad state’, ‘guilty state’, ‘excited state’, ‘motivated state’ etc. When an event comes through an experience through our sensory channels above, we filter it, in order to process it. As we process this event we delete, distort and generalize. Deletion occurs when we selectively pay attention to certain aspects of our experience. We reduce the amount of information coming in for processing based on our preferences and on our past experiences. Without deletion, we would be faced with much too much information to handle with our conscious mind. Distortion occurs when something is mistaken for that which is not. Distortion happens when we make shifts in our experience of sensory data by making misrepresentations of our reality. Claiming to know what another person feels is a form of distortion. “I know what you think.” is a form of distortion. We cannot possible know what another person thinks, and we can have an educated guess based on past experiences. Still, unless you are a super capable psychic, you will never know what exactly another person thinks (Pictures, Sounds, Feelings etc). Generalization is when we draw a conclusions based on one or more experiences. Generalization is one of the ways that we learn. We take the information and we create a broad conclusion about the meaning of this information. In order to agree and learn on any new subject we need generalization. Our conscious mind can only handle 7 (plus or minus 2) items of information at any given moment. Try this: Can you name more than 7 brands of cigarettes? How about wash detergents? If you have no interest in cigarettes you might name 2 or maybe 4 brands. If you are interested in cigarettes you will be able to name more than 7 brands. The reason for this is to protect us from information overload. By need and by protection we delete information all the time. You might have heard that psychologists say that if we were simultaneously aware of all of the sensory information that was coming in, we would go crazy. We need to filter the information coming in through our sensory channels. You might noticed once or maybe twice in your life time how differently we respond to situations. It is because we have different internal filters to delete, distort and generalize our incoming information. There are 5 filters through which we delete, distort and generalize the information comes through our five senses. The filters are, Meta Programs, Belief Systems, Values, past Decisions, and Memories. Our Meta-Programs are unconscious filters without any content. When you know your Meta-programs you can clarify your own states and therefore you are able to predict your behavior. You can learn how to detect other people’s Meta-Programs which can actually help you clearly and closely predict people’s states, and therefore predict their actions. Meta Programs are not good or bad, they are just a unique way someone filters information. Click here to learn about Meta-Programs. Our next filters are values. They are how we decide whether our actions are good or bad, right or wrong. They also determine how we feel about our actions. Our unconscious mind arranges our values in a hierarchy from the most important and most abstract on the top and the lesser important ones below. Since we all have our own ‘model of the world’, our values reflect that. We experience conflicts daily with the people we interact with because our ‘model of the world’ and their ‘model of the world’ hence their values -what is important to them- is different. Same applies when we have our self-talk; if our ‘model of the world’ conflicts with our values, then there’s going to be a conflict. Values are deep, unconscious belief systems about what is important, good or bad for us. We have different values in different contexts. Those values that you might want in the area in a relationship differ from what you want in business. Why would you want to know your values in every context of your live? Simply because you will be able to get rid of conflicts with yourself and with others. Also, because you would learn how to set boundaries, and because you would know how to make decisions effectively. You would be able to align values with your partner, within your company, with your family members. Since values are context related, specific beliefs and attitudes are attached to them. Based on the values hierarchy; therefore, beliefs and attitudes become more important on the top of your list and less important on the bottom of your list. Values are less related to our states than beliefs. Our next powerful filters are beliefs. Our beliefs are presuppositions about our world and they works with us or against us. Beliefs are generalizations about how the world is and they are either empower us, or disable us. When we are aware of our beliefs we know what we are able to or not able to do in the world. Therefore, it is important to find out what our disabling beliefs are because they are the ones not allowing us to be, do and have what we want. Our next filters are our memories. There are psychologists who believe that as we get older, our reactions in the present (in the now) are reactions to gestalts. Gestalts are collections of memories which are organized around a certain subject of our past memories. Therefor our behavior now has very little do with our present. Our next filters are our decisions that we made in our past. Before we form a belief we have to have a decision about that belief. Our decisions were made either unconsciously or when we were very young. Most of these decision we completely forgot, and there is no memory of forming them. Gee, how can we agree on anything, when we are so differently filter our world? Good question. We are able to generalize on experiences and agree on these experiences, even though our filters are just as unique as our personality. It is truly miraculous that we do agree on descriptions of our world. According to a study of communication at the University of Pennsylvania in 1970, researchers found the following: 7% of what we communicate is the result of the words that we say, 38% of our communication to others is a result of our verbal behavior, how we say things, which includes tone of voice, timbre, tempo, and volume, and 55% of our communication to others is a result of our nonverbal communication, our body posture, breathing, skin color and our movement. 93% of our communication to each other is done non-verbally on the unconscious level. Our non-verbal communication is a complete reflection of our Most of us spend 70% of our day communicating. 45% of this 70% is time spent listening. We all want to be listened to. It hurts to be ignored and neglected. Married couples spend only 10-20 minutes average per day talking to each other. Talking takes twice as much time than listening. The match between our verbal and non-verbal communication indicates the level of congruence. This congruence can be learned and perfected by learning and practicing NLP. Great examples of congruence: Barack Obama, Hillary Clinton, Bill Clinton, Oprah, Caesar Millan. (For Reference see Structure of Magic II by Dr. Richard Bandler and Superior Human Relationship by V.N. Pathak, Dr. Tad James – NLP Practitioner Training).